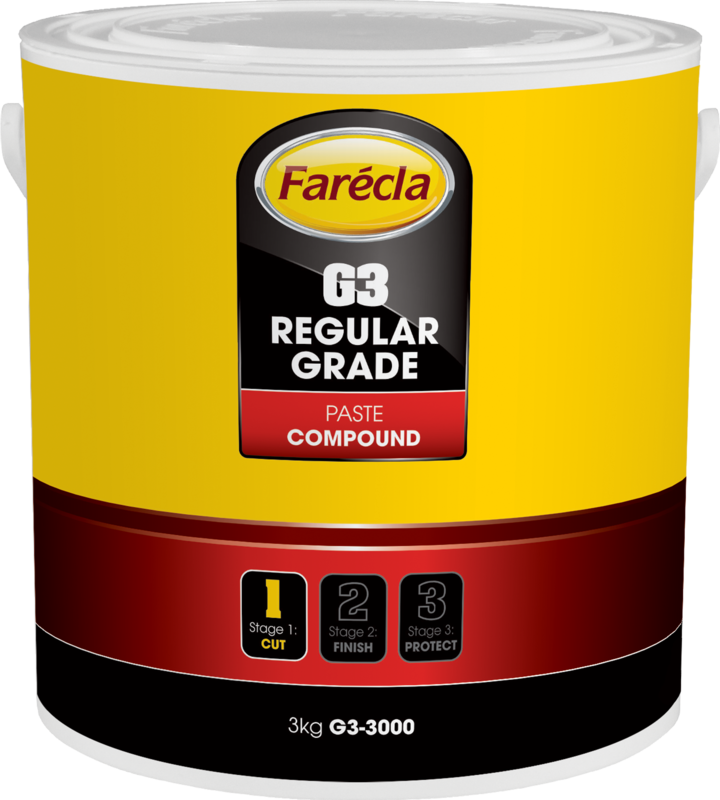 Farecla G3 3kg Finishing Compund Paste. This G3 finishing compound paste is for use on all modern original and refinish paint systems, as well as acrylics and fibre glass finishes. Medium solids (fresh - cured) and High solids (fresh - cured). Removes P1500 or finer abrasive marks quickly and easily, use with water for optimal performance. For an enhanced gloss finish on dark colours, follow with G10 Extra Fine Liquid Compound. Silicone free, suitable for hand or machine application.Removes: Acid Rain, Dirt, Dry Spray, Fish Eyes, Orange Peel, Overspray, Pin holing, Runs, Sand scratch Swelling, Scratches Water Spotting.